Getting a car is a big step towards adulthood for most teenagers. It is also a purchase that’s fraught with issues of expense and safety. Choosing the right type of car as a teenager can be a bit stressful. Whether you are a student who is buying your own car or a parent buying the ideal car for your teen, the below vehicles strike a balance between safety, affordability, and fun. Check out 10 best cars for teenagers and discover which car models make the grade. The only real update on the Corolla for 2016 is a latest Special Edition model which provides some unique exterior revisions, larger alloy wheels, and bold colors. Otherwise, this model remains unchanged for the current model year. It might not turn heads or even have your teenage friends green with envy, but regardless of what Corolla lacks in terms of excitement, it is an ideal car for teenagers. It is safer, relatively inexpensive and it should get teenagers through college and also into their first job. The vehicle’s exterior begins with some attractive colors. New car owners will have a choice of selecting from a line of elegant and fun colors like Blue Crush Metallic, Absolutely Red, Brown Sugar Metallic, 4evergreen Mica, Barcelona Red Metallic and Super White. Also, the exterior has some other outstanding features like a prominent and bold black grille and the precise cut. The grille is unique because its accent is designed toward the bottom of the car instead of the top. The whole car is incredibly attractive making it hard to believe that it’s really a Corolla. Standard features include an Entune Audio system with the 6.1-inch touch-screen display, a 6-speaker stereo, Bluetooth phone connectivity, Siri Eyes Free iPhone integration, and the USB port. Available features include navigation, satellite radio, proximity key, a rearview camera, automatic climate control, and the power sunroof. Test drivers say a standard Entune system features a crisp and display straightforward on-screen menus, making it among the greatest easy-to-use infotainment systems in the category. The Corolla provides Bluetooth connectivity as standard equipment for all models. To avail of the Entune App Suite infotainment system, you must upgrade to the Corolla LE with the Plus Package. To use this unique technology, Corolla owners need to download apps to their smartphone, pair the smartphone with the system, and access features such as the Pandora and iHeart radio, and Bing search engine, Facebook, on top of any other services and information. With its 1.8-liters 4-cylinder engine matched to the 4-speed automatic transmissions, the Corolla is among one of the quickest cars on the market. In addition, a 5 or 6-speed automatic transmission will noticeably improve the fuel economy. Furthermore, the engine is almost bullet proof and it will run for several years. All Corolla models except for the Eco trim come with standard 1.8-liter four-cylinder engine Toyota. With an ability to reach 132 horsepower and 128 lb-ft of torque, it is essentially the same motor which Corolla drivers have relied on for the previous decade. According to EPA though, the fuel economy has improved and is now 28 MPG in the city and 37 MPG on the highway with the six-speed manual transmission. 27 MPG city/36 MPG highway is the fuel efficiency rating with the four-speed automatic transmission and the 29 MPG city/38 MPG highway comes with the continuously variable automatic transmission (CVT). 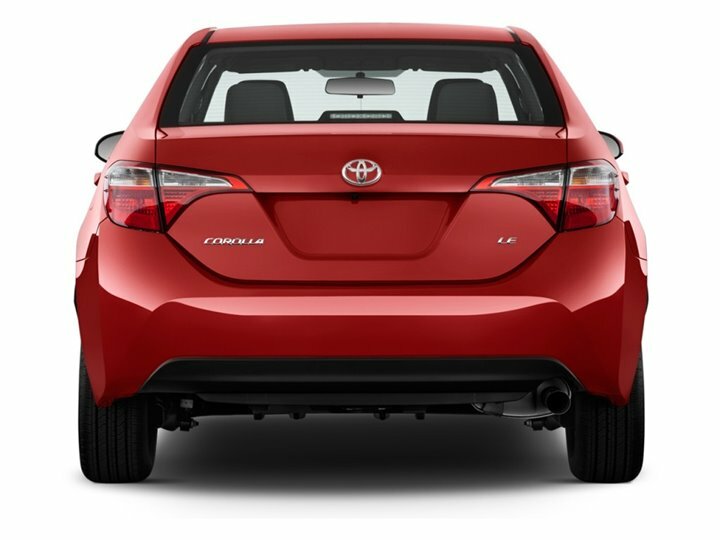 The modern Corolla comes with stability control, anti-lock brakes, and 8 airbags (front, passenger seat-cushion, front-side, driver-knee, and full-length side-curtain). Unfortunately, the Corolla goes on to be fitted with rear drum brakes and front disc rather than the discs all around. Discs are more modern and usually a more efficient design employed by several of Corolla rivals. However, you can avail of rear discs only if you choose the pricey, sporty S model with the Premium or Plus package. Solid fuel economy and value pricing put the Forte among the best cars for teenagers. More than just basic transportation, the car is economical and also fun to drive. In addition, it sports some decent exterior design lines. As a result, teenagers will not feel like putting paper bags over its head when driving this car. The 2016 Kia Forte is generally unchanged, with the mostly slight reshuffling of optional and standard equipment from trim to trim. The exterior features include black side windows trim, tailgate/rear door lock included w/power door locks, body-colored door handles, body-colored rear bumper, clear coat paint, 16” alloy wheels, variable intermittent wipers, and liftgate rear cargo access. Other standard features are body-colored power heated side mirrors w/manual folding and turn signal indicator, front fog lamps, body-colored front bumper w/black rub strip/fascia accent, fixed rear window w/fixed interval wiper, heated wiper park and defroster, light tinted glass, lip spoiler, spare tire mobility kit, and fully automatic projector beam halogen daytime running headlamps w/delay-off. 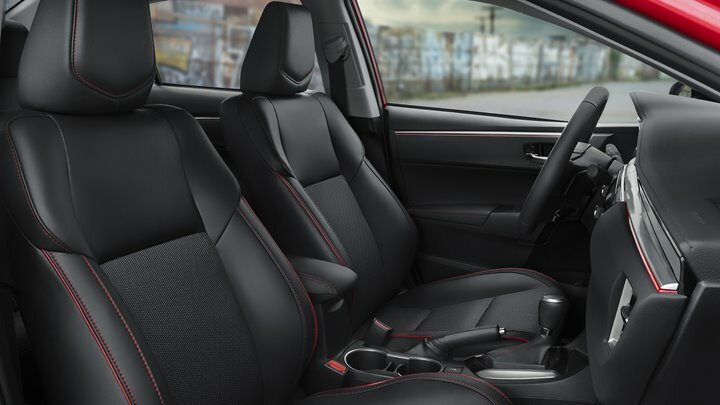 The interior of the 2016 Kia Forte is well-built and boasts high-quality materials and an appealing design. Critics say front and back seats of the Forte are comfortable, whether you are in the hatchback (Forte5), the sedan, or the coupe (Koup). The cargo space in all 3 models is also great for their respective classes. Standard features include keyless entry, Bluetooth, a 4-speaker stereo, a USB port, an auxiliary audio input, and the satellite radio. Available features include a power-adjustable seat of driver, leather upholstery, a heated steering wheel, heated front and rear seats, a ventilated driver’s seat, navigation with an eight-inch touch screen, a 4.3-inch touch-screen audio display, Kia’s UVO infotainment system that can connect with your smartphone, push-button start, a 6-speaker stereo, cruise control, HD Radio, dual-zone automatic climate control, a rear view camera and a power sunroof. 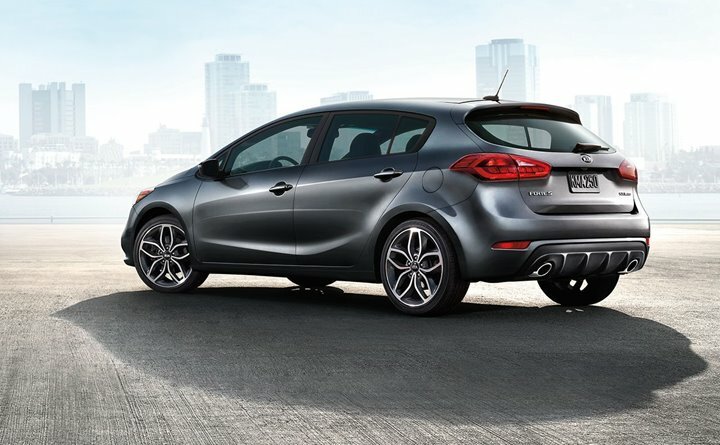 In keeping with the reputation of Kia’s remarkable value, the Forte5 delivers an impressive assortment of performance, technology, and amenities. The modern LX model comes standard with keyless entry with remote trunk release, cruise control, steering wheel-mounted audio controls, 16” alloy wheels, SiriusXM Satellite Radio1, power windows, air conditioning, Bluetooth wireless technology2, and power heated exterior mirrors are among the several features which make the Forte5 a leader in its class. The Forte LX is driven by a 1.8-liter 4-cylinder engine producing 173 horsepower and 130 pound-feet of torque. Power generated runs to the front wheels through a 6-speed automatic transmission - the manual transmission is only available in the SX model, which still has a great base price at $20,990. The fuel economy estimates of EPA for the Forte LX sedan are 28 MPG combined (25/33 city/highway) with the automatic. Each 2016 Kia Forte comes standard with the traction and stability control, antilock disc brakes, side curtain airbags, and front side airbags. A rearview camera is standard on EX and optional on the LX model. The optional Uvo eServices telematics bundle includes emergency crash notification, roadside assistance, and the secondary driver (i.e., teenage) monitoring features which include notifications when location limits, curfew, and vehicle speed are exceeded. It may not be a Mustang but the Ford Focus SE is certainly among the best cars to be considered by teens. Redesigned last year, the car’s styling is updated. Also earning it bonus points as one of the top cars for teens is the healthy amount of technology and a cabin that’s both comfortable and well-made. For 2016, the Ford Focus comes with a fresh Sync 3 technology interface, a 6-speed automatic transmission for the readily available 1.0-liter EcoBoost engine and insignificant adjustments to available choices packages. The standard exterior features include an automatic quad-beam halogen headlamps, 16” painted aluminum wheels, body-color door handles, rear spoiler (optional on sedan and standard on the hatchback), rear windshield wiper (standard on the hatchback), body-color power mirrors having integrated turn signal indicators and spotter mirrors. An overhead console (optional on sedan and standard on hatchback models), rear-seat heat ducts, sun visors with illuminated mirrors, floor console armrest, second row floor mats, optional power moonroof, four-way adjustable first row head restraints, removable rear package tray (standard in hatchback), power rear and front windows with driver one-touch down, rear 12V PowerPoint, map pockets behind the driver and front-passenger seats, and illuminated entry. 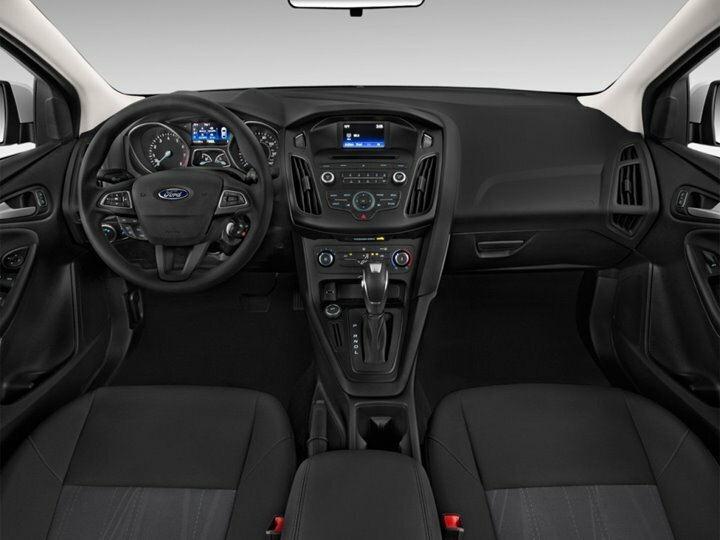 The Focus additionally features a sharp-looking interior which can be loaded up with the newest technology. This is specifically true for 2016, as Ford has equipped the all-new Sync 3 touch-screen interface that promises faster responses and simpler operation than the obsolete MyFord Touch system. A lot of features also come packed into this car such as the keyless entry, automatic headlamps, trip computer, Bluetooth connectivity, Ford Sync audio controls and voice-activated cell phone, and the 6-speaker audio system with satellite radio and iPod interface. The front-wheel-drive 2016 Ford Focus comes with a 2.0-liter 4-cylinder base engine which produces 160 horsepower and 146 pound-feet of torque. This powertrain returns decent EPA fuel-economy estimates of 31 MPG combined (27/40 city/highway) with an automatic transmission. This number reduces to 30 MPG combined (26/36) with the manual transmission. The 2016 Ford Focus currently comes standard with the antilock brakes (rear drum brakes are standard on the SE and S; 4-wheel discs are elective for the SE and standard for Electric and Titanium), a driver knee airbag, front side airbags, traction and stability control, and side-curtain airbags. The Ford Sync system consist of an emergency crash notification feature which automatically dials 911 when paired with any compatible smartphone. Ford’s MyKey system (that can be used to set electronic parameters for new drivers) and the rearview camera are also standard. The Titanium model can be fitted with a Technology package which includes a blind-spot warning system with a lane-departure warning system and the rear cross-traffic alert. Available either as a 2-door or 4-door hatchback, the Volkswagen Golf 2.5 is a great car with Volkswagen’s convenience packages. Arguably, this is the most fun to drive car on this list. It’s German engineering will be evident after only very few minutes behind the steering wheel. A modern infotainment system featuring a bigger 6.5-inch touchscreen has been added to all other available features for the 2016 Volkswagen Golf. In the e-Golf, an 8-inch touchscreen is also available. Base S models currently come standard with cloth seats and a rearview camera while the SE trim has keyless start/entry. The Driver Assistance package has been improved and currently includes forward collision warning, adaptive cruise control, lane departure warning, automatic emergency braking, rear cross traffic alert, blind spot warning, and the rear park assists with the steering assist. To no surprise, the 2016 Golf R provides similar visual treatment seen in preceding generations. Of course, the hatchback boasts similar updates as the 7-gen Golf, the most notable being a modern bumper design with big air inlets for enhanced engine cooling. The fresh Golf R also gains a modified grille which sports an “R” logo and freshly designed LED daytime running lights which are integrated into the bi-xenon headlight housings. On the sides, the latest R version gains 18-inch aluminum wheels, some cool body-colored “R” side skirts, and the black calipers with “R” logos. 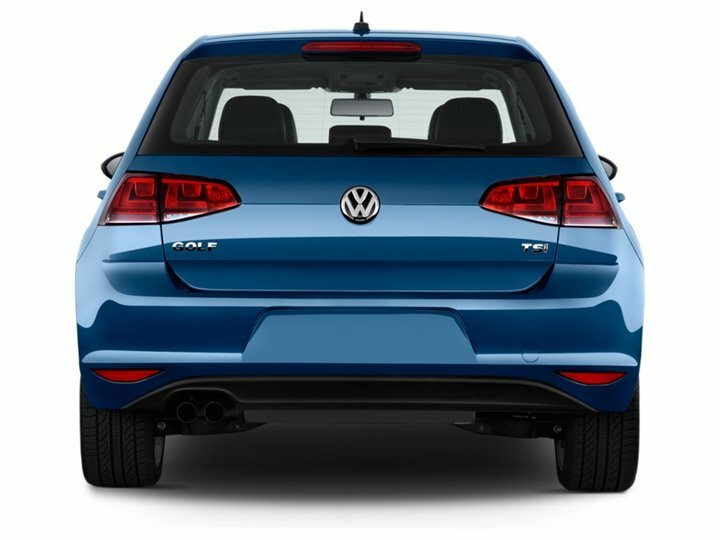 Around back, Volkswagen now adds a sports exhaust system and an “R” design diffuser with 4 chrome tailpipes. The 2016 VW Golf now comes standard with a five-inch touch-screen audio system with 8 speakers, a USB port, and Bluetooth. Features including satellite radio, push-button start, HD Radio, a 6.5-inch touch screen, an 8-speaker Fender audio system, dual-zone automatic climate control, navigation, a rearview camera, a panoramic sunroof, adaptive cruise control, lane departure warning, forward collision warning with automatic braking, front and rear parking sensors, blind spot monitoring, and lively parallel park assist are available. Smartphone integration –including Apple CarPlay, Android Auto, MirrorLink and the Car-Net smartphone app of Volkswagen – is fresh for the 2016 model with either the 6.5-inch or 5-inch touchscreens. In the e-Golf, an 8-inch touchscreen is also available. Base S models currently come standard with cloth seats and a rearview camera while the SE trim has keyless start/entry. The 2016 Golf has the MIB II infotainment system with a USB across every model, with improved VW Car-Net App connect. This means broader integration with smartphones, no matter the operating system, and the 6.5” touchscreen is standard for all models but the base model. In addition, modern to the S model is the rear view camera. SE models also have improved to include keyless access with the push-button start. Premium safety features are being enhanced in an elective Driver Assistance Package for both SEL and SE trim levels to allow motorists appreciate everything from blind spot monitoring to adaptive cruise control, choices which were not available in 2015. The 2016 VW Golf comes standard with a 170 horsepower, turbocharged 1.8-liter 4-cylinder engine and a 5-speed manual transmission while a 6-speed automatic is optional. A 6-speed manual transmission is available in a high-performance Golf R. The EPA estimates the base Golf can receive nearly 25/37 MPG city/highway with an automatic transmission that is about average for the inexpensive compact car. The Golf diesel model is now unavailable in the United States. Standard safety features include front-size, dual front, and the side curtain airbags. The Driver Assistance package adds a set of extra safety assistance including adaptive cruise control, forward collision warning, automatic emergency braking, rear cross-traffic alert, lane departure warning, and blind spot warning. The Driver Assistance package has been improved and currently includes forward collision warning, adaptive cruise control, lane departure warning, automatic emergency braking, rear cross traffic alert, blind spot warning, and the rear park assists with the steering assist. Premium safety features are more advanced in both SEL and SE models, choices which were not available in 2015. For 2016, the Hyundai Sonata gets some updates, including an improved standard stereo system and the repackaging of trims; GLS and GS trims have been combined into the SE trim. Rated as being a large car by EPA, the Sonata provides the extra bulk that might help keep teenagers safe in a crash. This makes it one of the best choices for cars for teenagers. Moreover, the amount of standard features in the base model mean the price is even more affordable. Aerodynamic modifications to the rear and front styling and exceptional 16” aluminum wheels separate the Plug-in Hybrid and Hybrid models from any other Sonatas. According to Hyundai, both models of the modern Sonata Hybrid feature a coefficient of drag measuring 0.24 cd, similar to a Tesla Model S. Seaport Mist, and Graphite Blue Pearl will be exceptional paint colors for these new models. 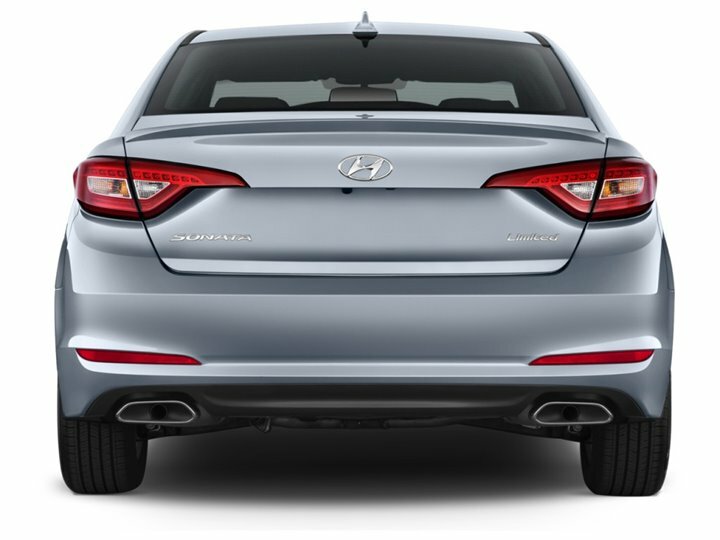 Since the battery of the Sonata Hybrid currently fits under the cargo floor, the vehicle provides a 13.3 cu.-feet trunk. The trunk size of plug-in versions is reduced due to the larger battery. Instrumentation includes distinctive information displays associated with the hybrid drivetrains of a car, and Blue Pearl leather seats are an option for these Sonata versions. 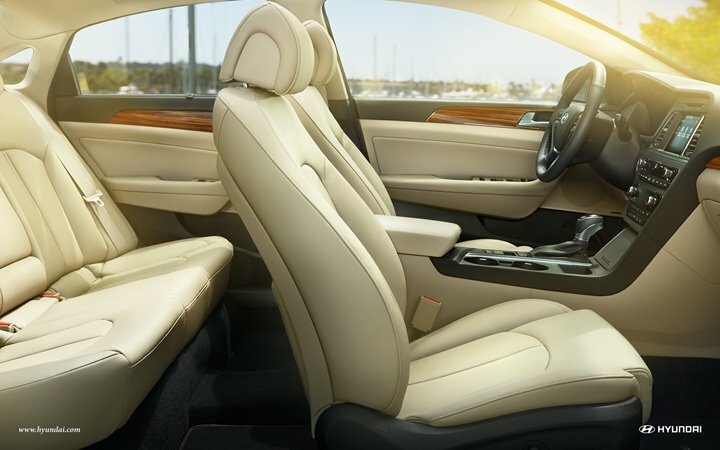 The Premium Package for the Sport model comes with a leather-wrapped steering wheel, heated front seats, and floor console mounted rear vents for an extra $1,900. With the Smart Trunk feature of the Sonata Hybrid the owner just needs to stand close to the trunk with the passive entry key fob for three seconds and the trunk will open automatically, hence making it easier to load. Also, a smart cruise control system is readily available for this model and includes full-stop capacity. Extra upgrades include a premium audio system, a navigation system, and next-generation Blue Link connectivity, services and apps. Google Android Auto and Apple Car Play is also available. Sonata’s 2.4-liters 4-cylinder engine generates the most horsepower on the list; a whopping 198 horsepower. It features that driver-shiftable 6-speed automatic transmission that ushers power to front wheels. The Sonata receives an EPA-estimated 25/MPG city/38 MPG highway with the base engine that’s among the greatest ratings in the class, and the Eco model receives 28/38 MPG city/highway. Many critics commend the smooth ride the Sonata offers, but some mention that it is not the sportiest car in its class. With a standard knee airbag of the driver, the 2016 Sonata Hybrid offer seven airbags. Also, a reversing camera is standard for this year. Options include a lane-change-assist system and lane-departure warning, a blind-spot detection system with the rear cross-traffic alert, and the forward-collision warning system. Despite being among the largest cars with that extra weight of an all-wheel drive, the Subaru Legacy 2.5i falls rightly into the middle the pack for better fuel economy. The steering system of the 2016 Subaru Legacy has been improved for better feel. On the Limited model, Subaru also returned the new shock absorbers for a smoother ride. The car is not only effective in snowy areas but it also works well on muddy and rain-soaked roads. The all-wheel drive is a must-have for the teenagers in snow belt regions and this car has just been designed to offer a memorable driving experience. On the outside, Subaru concentrated on making the Legacy sportier by providing it a more coupe-like appearance. Up front, there’s a fresh nosecone which is designed for the integration of the front bumper and grille. Subaru also redesigned the roof line by pulling the base of the windshield out 2 inches, raking it rearward against the previous-generation Legacy. For decent measure and more balanced weight distribution- Subaru swapped out a steel hood in exchange for an aluminum one. Gone are those contentious headlights from the previous generation, and we see a return to a more traditional set of lights. Additionally, the funky-looking half grille has been dropped for a more old-style louvered grille, and the front apron is cleaner. 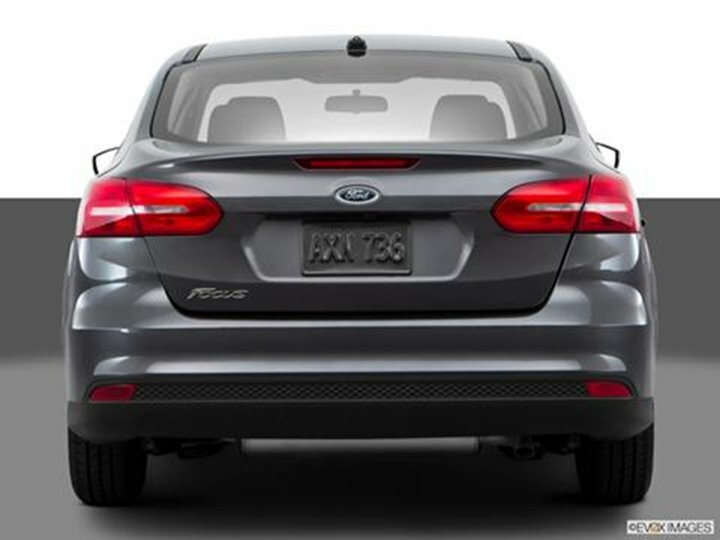 Around back, the taillights appear more elegant than previous year’s model, and the rear bumper wraps more suitably around the tailpipe. 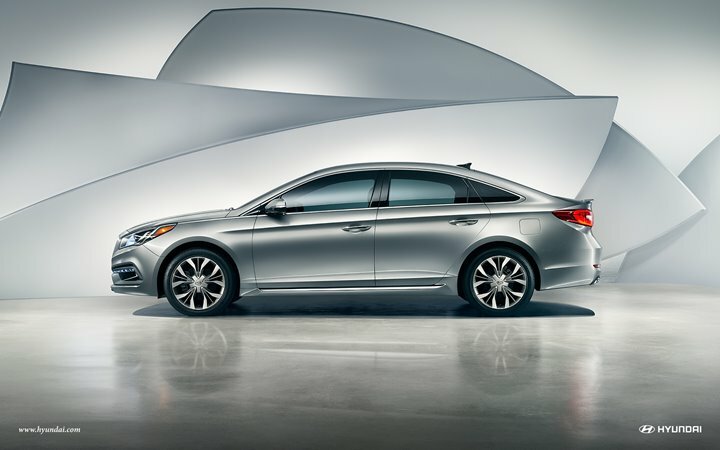 The exterior modifications have improved the Legacy’s aerodynamic efficiency by 10%. The 2016 Subaru Legacy now comes standard with a USB port, Bluetooth, HD Radio, a 6.2-inch touch-screen infotainment system, a rearview camera, smartphone app integration and a 4-speaker audio system. Available features include a satellite radio, 12-speaker Harman Kardon audio system, navigation, dual-zone automatic climate control, a moonroof, rear cross traffic alert, blind spot monitoring, and the voice-activated infotainment system with a seven-inch touch-screen display that responds to swiping and scrolling multi-touch gestures, like an iPad. Audio connectivity Bluetooth phone and, and a 4-speaker sound system with a CD player, an iPod/USB interface, HD, and satellite radio, jack smartphone integration with Pandora and Aha audio streaming, and an auxiliary audio. A 6.2-inch touchscreen controls many phone functions and entertainment. Limited and Premium come with cloud-based infotainment connected services and applications, including automatic collision notification and one-button emergency assistance. 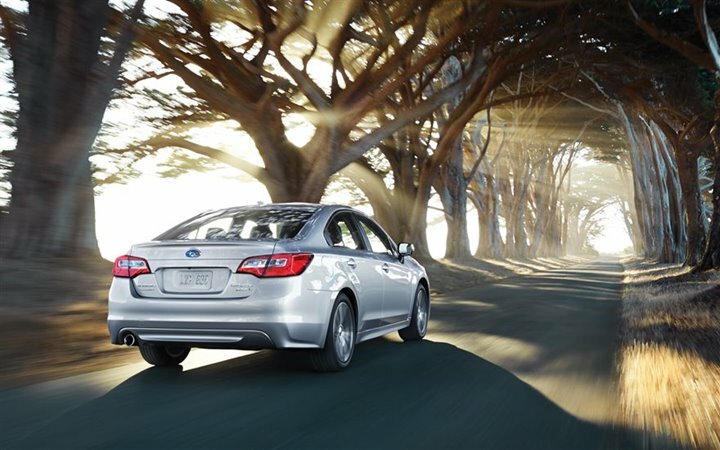 The 2016 Subaru Legacy provides two engines: a 3.6-liter six-cylinder and a 2.5-liter four-cylinder. The EPA rates the 4-cylinder Legacy at 30 MPG combined driving (26 city/36 highway), an excellent result in this class specifically taking into account that all-wheel drive usually drags fuel economy down one point or two. A lineartronic continually variable transmission (CVT) gives the Legacy a strong 175-horsepower and 174 lb-ft @4,000 rpm. This engine is standard on all 2.5i models but increases to a 3.6 liter DOHC engine with a 256 horsepower and 247 lb-ft of torque (though this model’s base price is $8,000 more than the basic model). The 2016 Subaru Legacy currently comes standard with antilock disc brakes, stability and traction control, front side airbags, a rearview camera, side curtain airbags and the seat cushion airbags which deploy from the seat bottom to keep occupants in the right position in a frontal collision. 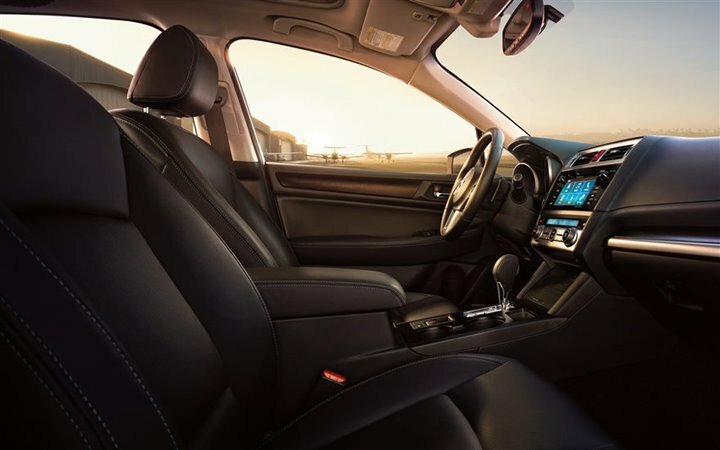 On the Limited and Premium models, the Subaru comes with Starlink Connected Services that include automatic collision notification and emergency assistance. This can be improved with the optional Security Plus and Safety Plus upgrade that adds remote vehicle-locating, remote vehicle access, and the stolen vehicle recovery. Another incredible safety modification for 2016 is that an optional EyeSight system currently includes the lane departure intervention. The all-modern Chevrolet Malibu is more improved than ever and comes with the innovative safety, technology, and performance in a variety of generously fitted models. While researching cars for teenagers, the Malibu is one of the best; it has everything they need. This brilliant, fresh 2016 Chevy Malibu is bigger, stronger, and lighter with enhanced fuel efficiency. 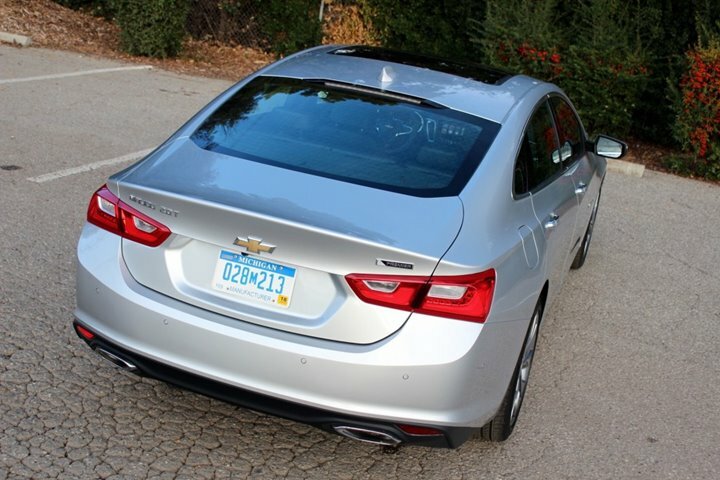 One of the best midsize cars on the list, the Chevrolet Malibu is a great option for teenagers and adults alike. Lighter and longer than the vehicle it replaces, the 2016 Malibu boasts styling which Chevrolet says is influenced by the present Impala full-size sedan. The vehicle weight has been reduced by nearly 300 lbs., and the new Malibu has both a 3.6-inch wheelbase stretch and 2.3 inches of extra length. The cowl and hood are lower, and the roofline is sleeker for advanced aerodynamics. Active grille shutters are also standard for a few Malibu models. Thanks to the stretched wheelbase of 2016 Malibu, Chevrolet can address a main complaint about the 2015 model; by adding 1.3 inches of extra rear-seat legroom. Front-seat occupants face the dual-cockpit dashboard design, and the manufacturer says that it’s done a great job of separating the climate system controls from the infotainment system controls. 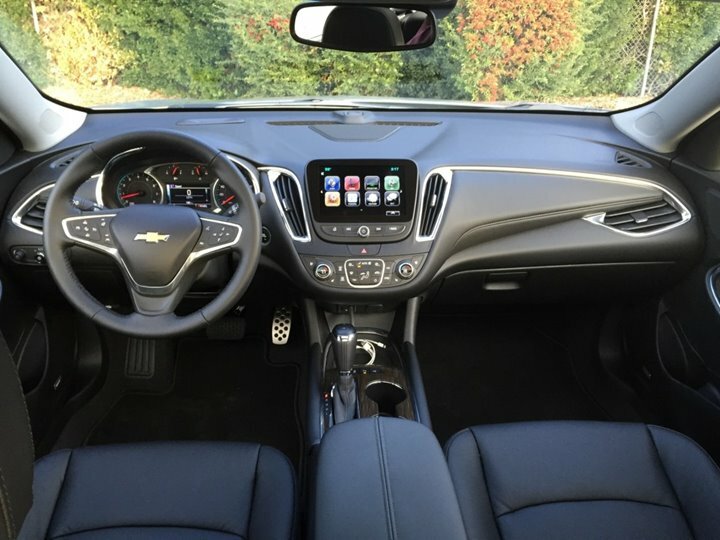 Highlights include a specified storage slot for smartphones and satin-chrome accent trim, and the Chevrolet MyLink infotainment system with a 7-inch touchscreen is standard in many versions of the vehicle. On top of safety technologies, the 2016 Malibu can be equipped with wireless phone charging, OnStar 4G LTE Wi-Fi connection, automatic park assist technology, front and rear park-assist sensors, adaptive cruise control, and automatic high-beam headlights. It has a fair amount of technology features that teens want like Bluetooth connectivity and the touch-screen interface. Other standard features include keyless entry and satellite radio. Across the range is the optional 2.0-liter turbo engine which provides a highly engaging driving experience. The modern Malibu puts up excellent economy numbers so far. Models with a 1.5-liter turbocharged engine gain 27 MPG City, 37 MPG highway, and 31 MPG combined according to the EPA. On the other hand, those with the 2.0-liter turbo gets 22/33 MPG city/highway and 26 MPG combined. The forthcoming hybrid will get heady 47/46 MPG city/highway 46 MPG combined numbers, according to the EPA. Standard safety equipment includes ten airbags, and all but the base Malibu L gains a standard reversing camera. Options, based on the trim level, rear cross-traffic alert, include lane-change assist and blind-spot warning, forward collision warning with an automatic braking, lane-keeping assist, and lane-departure warning, and pedestrian alert with an automatic braking-safety systems. Following a complete redesign previous year, the Fit is unchanged for 2016. The base price is relatively cheap considering the wide range of features that it comes with. The fuel economy rating is 29 mpg in the city and 37 miles per gallon on the highway. If you’re looking for a car for your teenager, this one is super economical. Slightly smaller as compared to the familiar Honda Civic, Honda Automotive Company has come up with a great car that is both practical and fun to own and drive all thanks to its versatile features. Teenagers can pack in their friends. 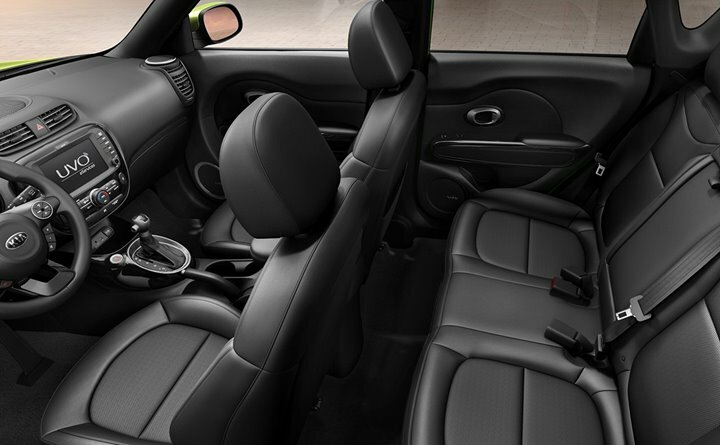 The car has enough space to pack your friends or luggage as you head off to college. With 15” wheels as standard, one might think they are losing out with such a small car, but the Fit packs a punch when it comes to style as well as performance. By upgrading to the EX model you can get 16” wheels, a sunroof, and an upgraded rear view camera. With several different colors including yellow or a deep purple, this car is fun and youthful in its appearance but effective when it comes down to it. As standard, the Fit comes equipped with a height-adjustable driver seat, tilt-and-telescoping steering wheel, a 5” central display screen, and a 4 speaker sound system. By upgrading to the EX models the touchscreen display becomes 7” as well as six speakers. The EX-L gives you a leather-wrapped steering wheel and shift knob as well as leather upholstery and heated seats. Even by upgrading to the top level model, your base price is still pretty low - $20,165. 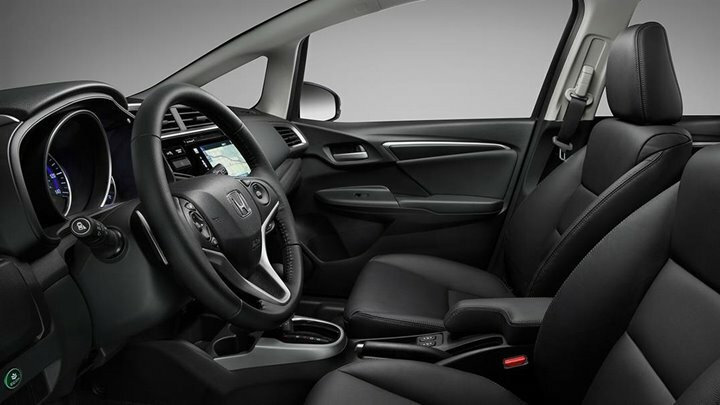 Each model of the 2016 Honda is fitted with standard Bluetooth text-messaging support, connectivity, an Eco Assist system, and Pandora Internet radio. 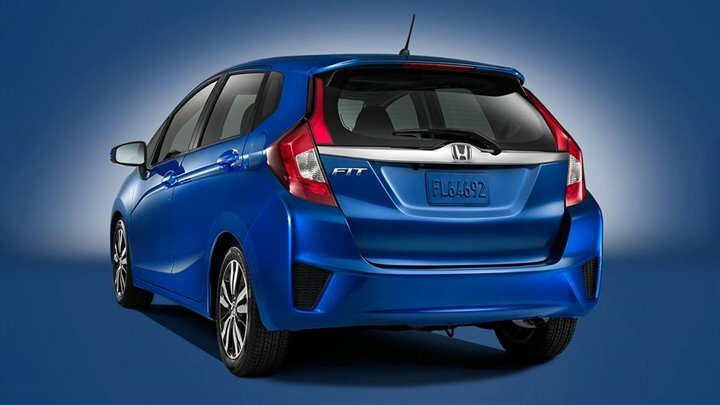 When the some Honda Fit 2016 is driven in a fuel-efficient way, speedometer illumination varies from white to green to commend the driver. Bluetooth capabilities, audio jacks, and USB ports, as well as the option of Siri Eyes Free for enhanced iPhone voice control. The extra tech features will keep your teenagers safe on the road. Honda designs its cars using what it calls an Advanced Compatibility Engineering II (ACE II), body structure. This kind of design is intended to disperse and distribute crash energy during car impact, maintaining those forces from interfering with the passenger space to lower the potential for injury. For the 2016 Mazda 3, the standard SV trim level has been dropped. Therefore, the 3i Sports trim is currently the base model. Also, Mazda has added more standard (upscale) features this year. The small Japanese Automaker has long been widely-known for adding more fun to all its products, whether large or small. The zoom-zoom factor will enhance the overall appeal more so if you opt for the forward collision warnings that boost the car’s rating to the Top Safety Pick. 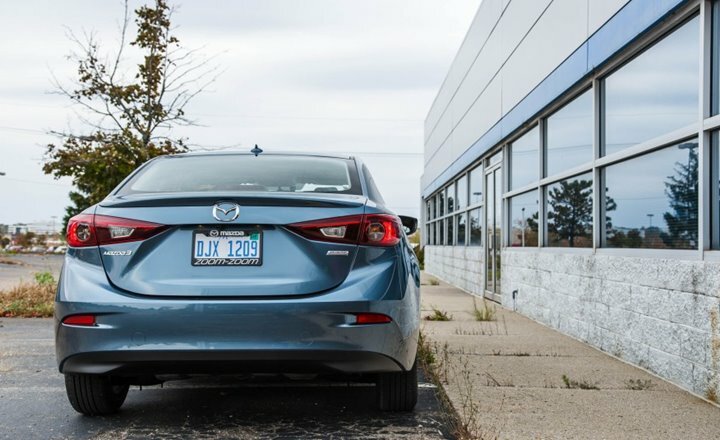 A rearview camera is on each Mazda 3 while automatic wipers, automatic headlights, and the sunroof are standard on the trim levels greater than Sport. A manual transmission is no longer provided on the 3s Touring. A rearview camera is standard on each Mazda3. The vehicle boasts a width of 70.7 in. and a height of 57.3 in. as well as the least ground clearance (laden) is 6.1 in. The Mazda3 has daytime running lights, halogen headlights, rear window antenna (integrated), beltline trim (black), dual power side mirrors (body-colored), intermittent windshield wipers (variable), and 16-inch wheels. The car has attractive and svelte proportions. It also boasts a five-point grille which integrates into thin, slanted, and swept-back headlights. Mazda3 features a sweeping shoulder line. The roofline is more slanted. The entire exterior appearance of Mazda3 offers it a sports car look. Standard features on the Mazda3 include a rearview camera, cruise control, a USB port, push-button start, a six-speaker sound system, Bluetooth, HD Radio, smartphone app integration (with Pandora Internet radio, a system which reads text messages aloud,) and a Mazda Connect infotainment system. Optional features include a moonroof, navigation, a nine-speaker Bose sound system, dual-zone automatic climate control, blind spot monitoring, lane departure warning, adaptive cruise control, forward collision warning, rear cross traffic alert, and Smart City Brake Support system of Mazda that can automatically apply the brakes at minimal speeds if any obstacle is detected. Anybody looking to utilize their Mazda3 Grand Touring to the maximum can choose the Technology Package, a choice only available on models fitted with the 2.5-liter engine. This package includes i-Eloop of Mazda, an energy regeneration system which transforms kinetic braking energy into electricity, feeding a battery which powers the car’s accessories, improving fuel-efficiency in the process. Also, the Technology Package throws in i-ActiveSense features of Mazda. These are developed to enhance safety and are often found above the compact segment. They include Smart City Brake Support for the stop-and-go traffic, Automatic High Beam Control, and Forward Obstruction Warning, a Lane Departure Warning System. Last, the cruise control is improved with the adaptive radar system. The 2016 Mazda 3i versions are driven by a 2.0-liter 4-cylinder engine which produces 155 horsepower and 150 pound-feet of torque. The estimated fuel economy of EPA is also great. The sedan checks in at 34 MPG combined (30 city/41 highway) with an automatic transmission. Safety features are abundant and include 6 standard airbags, stability control, anti-lock brakes, and traction control. Also, the Mazda3 features a collapsible steering column to reduce damage in front-end collisions and a hill-start system to reduce rollback when starting on a hill. Optional safety features include a blind spot warning system, rear view cameras, and Smart City Brake Support, a system which uses a laser to sense forward collisions. This boxy car has earned a huge following thanks to its flexibility and style. This is the perfect urban car for teenagers and has plenty of benefits, from the bigger wheels to the 8-inch navigation screen. In addition, you can drive off with this well-equipped model at a relatively low price. For 2016, the Kia Soul adds 2 packages: the Designer Collection for the Plus model adds a leather steering wheel, 18-inch wheels, and two-tone exterior paint -either white with a red with a black roof or red roof, while a Convenience Package adds to base models a rearview camera, touchscreen audio, and satellite radio. 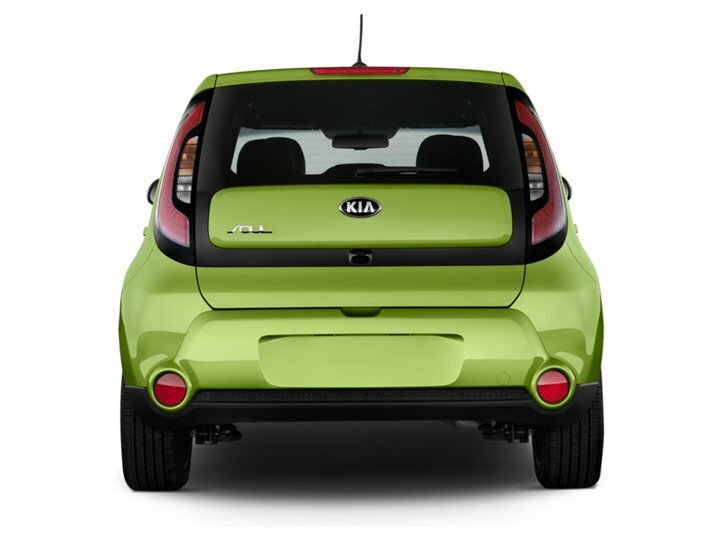 The Kia Soul is well-known for its impressive exterior design. It stands out from a crowd with the fantastic standard exterior features including: chrome and matte black front upper grille, heated rear glass with timer, matte black front and rear bumper inserts, Variable Intermittent windshield wipers, dual body-color power mirrors, rear wiper/washer, locking fuel filler door, 16-inch alloy wheels, multi-reflector headlights, and privacy glass. Standard features in the new Kia Soul include an auxiliary audio input, a USB port, Bluetooth, a 6-speaker audio system, and satellite radio. 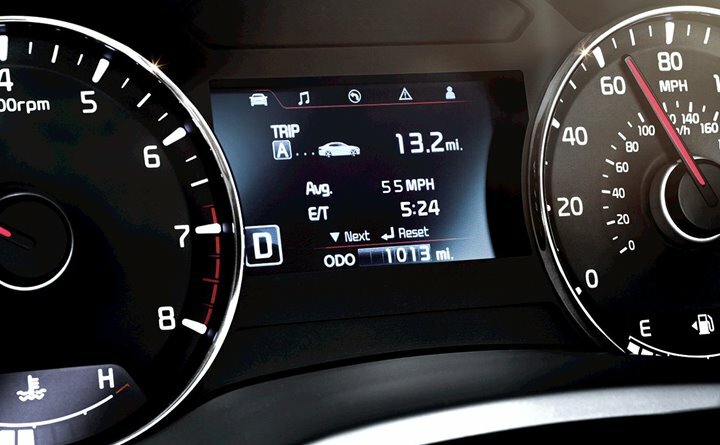 Available features include a navigation with an eight-inch touch screen, 4.3-inch touchscreen audio display, UVO infotainment system of Kia that can connect with your smartphone, an Infinity audio system, a rearview camera, HD Radio, a panoramic sunroof, push-button start, and automatic climate control. Lane departure warning and also forward collision warning are new options for 2016. The above updates set it clear that Kia stays intent on maintaining the Soul as competitive, and the high level of technology stays one of its main selling points. The Soul has continuously been a tech leader, and on top of its modern features for 2016, it comes standard with the six-speaker audio system, a USB input jack, Bluetooth, and the steering-wheel-mounted audio controls. In the Plus model, you can add an optional Infinity audio system with the center speaker and subwoofer. Other options for the Exclaim and Plus models include speaker lights, push-button start, HD Radio, and an automatic climate control. The front-wheel-drive 2016 Kia Soul is provided with 2 different engines. The base Soul has a 1.6-liter 4-cylinder with 130 horsepower and 118 pound-feet of torque. A 6-speed manual transmission is standard (including at the hill-start assist function), and a 6-speed automatic is optional. The estimated fuel economy of EPA for the base Soul comes in at 26 MPG combined (24 city/30 highway) with either transmission. Soul+ and ! models feature a 2.0-liter 4-cylinder which produces 164 horsepower and 151 lb-ft of torque. A 6-speed automatic transmission is available. Fuel economy with the 2.0-liter engine is an EPA-estimated 27 MPG combined (24/31 city/highway). The car is ideal for the budget-conscious teenager as it features a better fuel economy and greater performance on all terrains. Standard safety equipment for each 2016 Kia Soul model includes 4-wheel antilock disc brakes, stability and traction control, hill-start assist, side curtain airbags, front-seat side airbags, and an active front head restraints. A rearview camera is a standard on the Soul+ and! It is included on the base model with an optional Convenience package. For the Soul! forward collision warning and lane departure warning are optional. The available Uvo service offers roadside and emergency assistance, geo-fencing, stolen vehicle tracking, and speed tracking (enabling parents to set limits for teenaged drivers) and any other smartphone-enabled features available via the Uvo app.